1930s maps and photos of the Mono Basin area are in quads 71, 75, 76. Mark Twain at Mono Lake: Chapters 38 and 39 of "Roughing It"
Posted for historical reference only, the details of this account of Mono Lake should not be construed as fact. William Brewer at Mono Lake: Book 4, Chapter 4 of "Up and Down California in 1860-1864, The Journal of William H. Brewer"
John Muir at Mono Lake: Chapter 9 of "My First Summer in the Sierra"
Bloody Canyon and Mono Lake in 1869. A painting by M. Randall, provided by Joe Scanavino, along with some of Joe's recollections. An article by Dr. Joseph R. Jehl, Jr., about the origin of the name "Simon's Springs" and why, in his opinion, it should be changed. These interviews were conducted in 1991 and 1992 for use in the Mono Basin EIR and the State Water Resources Control Board Hearings. 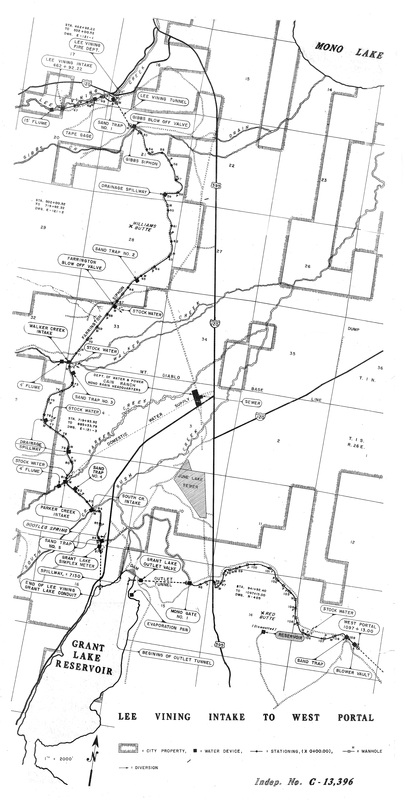 Certain residents of the Mono Basin in the first half of the 20th century were interviewed about past conditions in the Mono Basin related to topics of interest during the Water Board Proceedings. Shows counties, communities, water features, mountains, and railroads such as the Bodie Railroad. 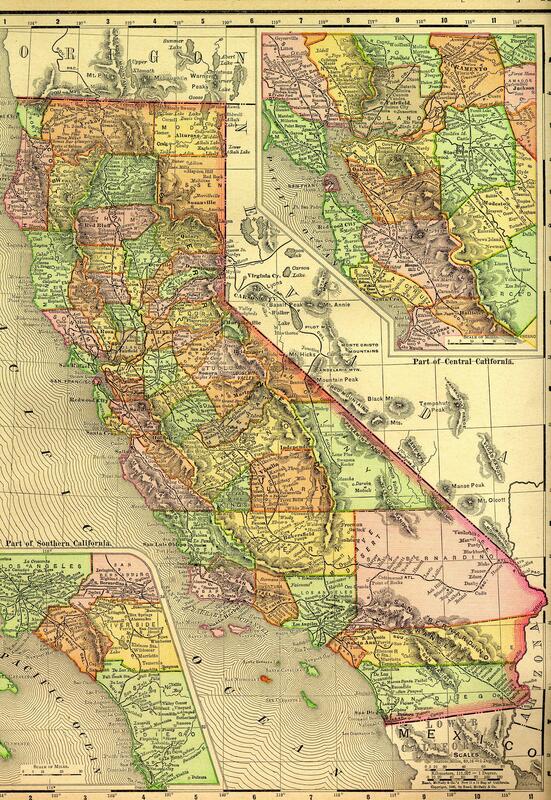 In Mono County only shows the communities of Topaz, Coleville, Bodie, Lundy, Mono Lake (Mono Mills), Benton, and Hammil. Shows other terminal lakes before desiccation. The James B. and Katherine M. Clover Papers. This collection, housed in 84 boxes and 102 oversize folders, consists of correspondence, documents, maps, reports, publications and clippings related to land tenure and water use in and around Mono County (including Mono Basin, Mono Lake, Lee Vining Creek and Rush Creek), Inyo County and Los Angeles, California. Unavailable for the next two years. A short overview of the subject followed by an extensive list of references. Compiled by the USFS.